Obafemi Awolowo University student union president was on Thursday pounced on by the students of the for money laundry. Trouble had been brewing since the union acquired the bus under controversial circumstances. The bus was to be used as a commercial tr‎ansport shuttle around the university. Report had it that the financial secretary of the union was not happy, saying the bus which was purchased for N2.9 million did not tally with the actual value of N2.5 million written on the receipt. Mr. Ibukun rebuffed the move, resulting in a fight among the students. The students fought in different locations within the campus, while Mr. Ibukun was beaten up with his clothes torn in shreds. The wild fight could not be curtailed by the university’s security team, as they watched helplessly the parade of the union president by students who accused him of fraud in the bus purchase. “Lots of aberration have been committed by the president and I am not even aware of the bus scandal. Iwas not notified before the bus was bought,” the Speaker of the Students Representative Council, Falaye Tope, said, while reacting to the crisis. “I am not responsible for the crisis. It is beyond me, as you can see, I have not intervened in it all.” The president and the speaker had been at loggerheads before the incident. 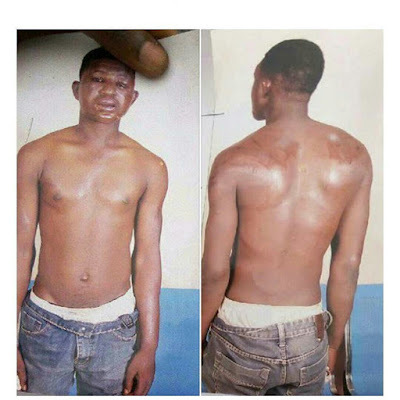 0 Comment to "OAU Students beat up Student Union President over N2.5 Million bus scandal"